Nexus is Rigibore’s latest solution for the precise and consistent machining of large diameter bores between 275 and 2,010 mm diameter. Making use of Rigibore’s Zenith system, Nexus is a self-contained unit that can be mounted to Wohlhaupter flanges, with the unit containing a wireless transceiver, battery and one of Rigibore’s ActiveEdge cartridges. 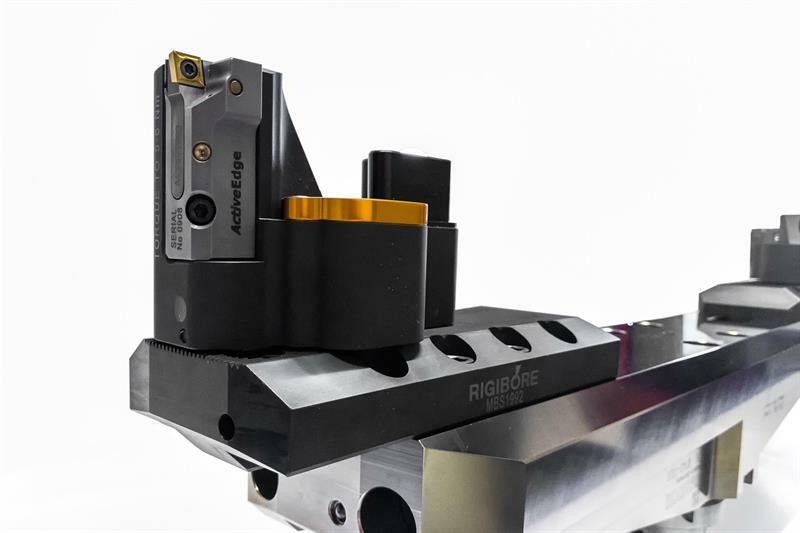 This combination means that the insert can be adjusted for diameter either manually, using the ActiveEdge Remote control, or automatically if used in conjunction with Rigibore’s Zenith Industry 4.0 compliant automation system. The development of Nexus came about when Rigibore was approached by ZF Wind Power’s facility in Belgium, where gearboxes are produced for wind turbines. These large, high-value parts were subject to long set-up times due to restricted access when setting diameters. Further complications arose from outside factors, such as temperature variance, which meant constant checking and adjustment of bore sizes. When creating Nexus, Rigibore developed a boring module that was compatible with existing boring flanges; these modules were then integrated with Rigibore’s Zenith closed-loop tool compensation system and in-process gauging. This combined system delivered the control, accuracy and consistency that ZF Wind Power required, without the need for manual intervention. A major benefit for ZF Wind Power is the ability to use Rigibore’s ‘two-stage finish cut’ system as part of the Nexus/Zenith solution. This strategy sees the cutting edge automatically backed off to machine a pre-finish bore, which is measured. The value is stored in the machine control and interrogated to determine the amount of adjustment required for the finish bore size to be nominal. The special macros developed by Rigibore ensure that the Nexus tool is adjusted to compensate, automatically, for insert wear, temperature change and material inconsistency. As a result, ZF Wind Power has seen a reduction in scrap or rework of large and expensive components, while cycle times have been reduced due to the elimination of manual intervention in the fine-boring process. 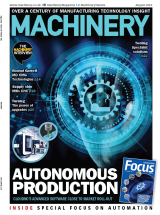 Furthermore, spindle utilisation has increased, as a key benefit of the Nexus/Zenith combination is that adjustments can be made at any time and while the tool is out of the spindle in the machine’s tool carousel.